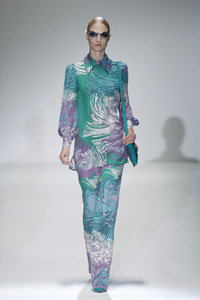 Creative director Frida Giannini pays homage to the Gucci heydays with a sophisticated Spring/Summer Collection 2013. 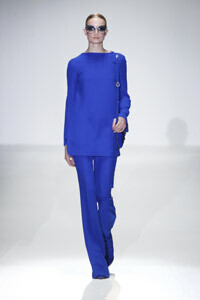 A sleek modern version of the Riviera looks reminiscent of the 70’s Italian Jet with modern chic appeal look of cobalt blue narrow tunic with full trousers screams for summer. Citrus yellow silk dress with lavish ruffles makes a timelessly elegant outfit for a mild evening. 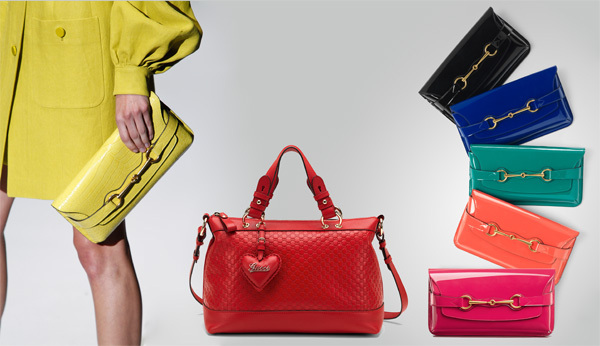 Gucci’s classic horsebit patent leather clutches are jazzed up in an exciting colour palette that embraces vibrant colours like citrus yellow, azalea pink, cobalt blue, and acqua.